Baseball pins have become a huge trend and it’s growing every year! 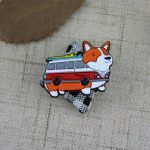 If you need custom trading pins, you come to the right place! 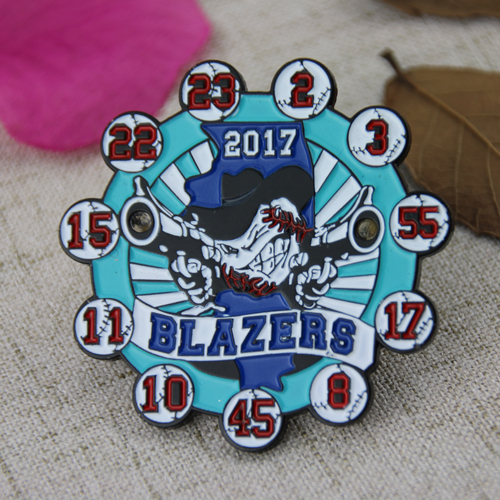 Ordering custom baseball pins usually requires several options for certain types and materials. I will shed light on the details regarding these types so that you could make a wiser decision upon personalizing your order. Soft enamel pins are the style of baseball trading pins that everyone wants. They are thicker and heavier and have more trading power. We recommend soft enamel trading pins unless you have specific reasons for another type of trading pin. There is a huge number of options are open to you with soft enamel pins, including cut-out shapes, brass, silver, copper and gold metals, glitter paint, glow-in-the-dark paint, epoxy dome and pin enhancements such as sliders and danglers. Offset Printed pins are optimal for detailed designs, and complex coloring, such as gradient or gradual color changes, or when you don’t want thin metal lines separating colors and text, Modifications such as danglers, spinners and jewels can also be added. These are great for team logos, paintings, and photographs. These pins are made from the same thick material of photo-etched pins; crafted using the latest printing technology that directly re-create each image directly on each pin. A transparent protective coating is added as the last layer. 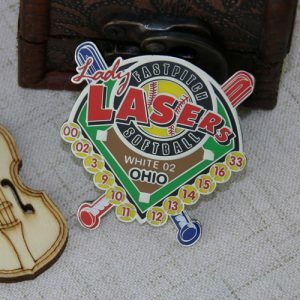 GS-JJ has many years of experience in the production of custom baseball trading pins. Please, email us and let us assist you in finding the perfect custom design pin for you! To get the process started on your team trading pins Click Here to fill out our Free Quote on baseball trading pins! I had no idea that soft enamel pins were thicker and heavier and that they added more trading power. Personally, I would imagine that being thicker would help them last longer and withstand the wear and tear they would be exposed to. My son is wanting to enter his school’s baseball team and they want to come up with an original design for their trading pins, so I’ll keep your tips in mind.